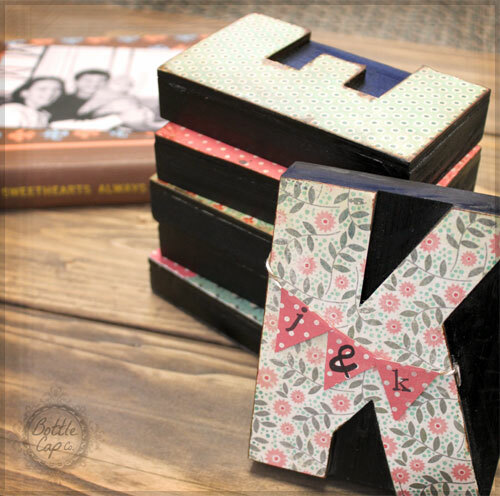 Our Wood Letter Press Blocks are beautiful just as they are, or... add your favorite scrap papers decoupaged on top! This will give them a creative new twist. 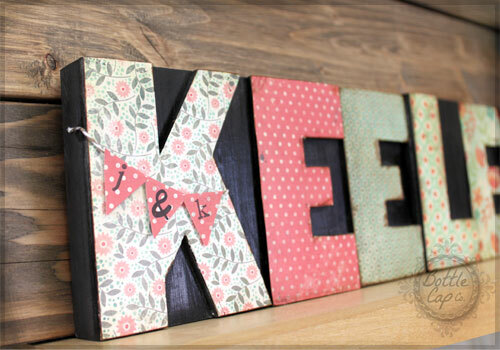 Perfect for hand made home decor or personalized gifts. Just follow these 5 easy steps! 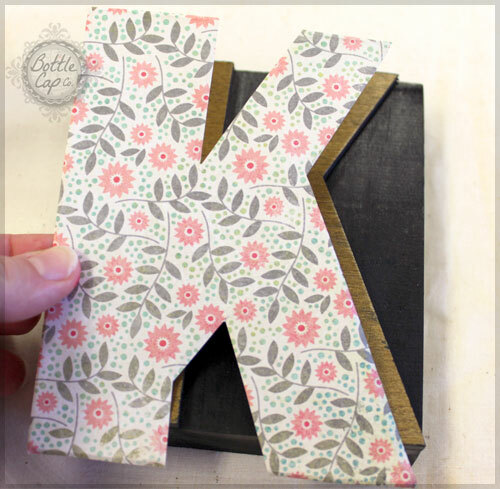 Grab a sheet of scrapbook paper and your first letter. Press the paper along the edges of your letter so that you get the shape on the paper. 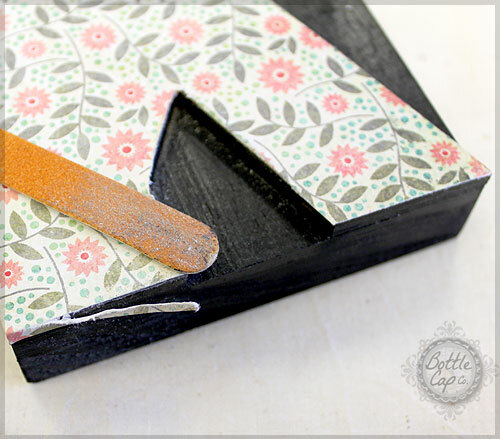 Cut this out -- don't be afraid to leave a little extra room around all the edges because we'll be sanding any extra off to create perfect edges. 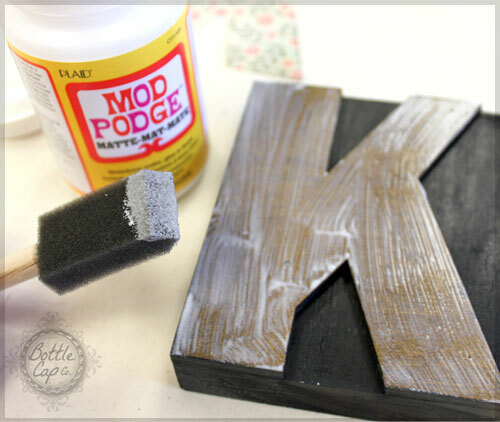 Use your sponge brush or paint brush and paint a thin layer of Mod Podge onto your letter then immediately cover it with the scrapbook paper letter that you just cut out. Be sure to smooth out all the edges so there aren't any air bubbles. 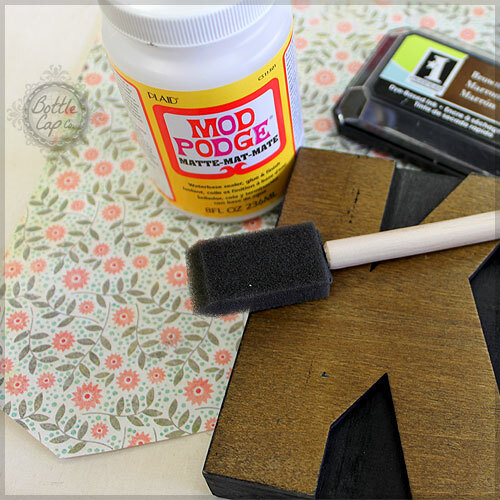 Be sure to not over use the Mod Podge because it will ooze out the edges, if it does just wipe it off. At the same time though make sure the Mod Podge covers to all the corners. 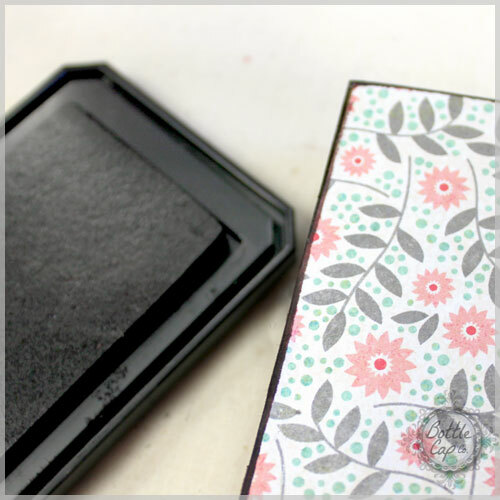 To get perfect edges you're going to let the Mod Podge dry completely (10 mins or so) and then use your nail file to sand off the edges and easily create that smooth edge all the way around. Step 4 - Distress It! Now it's time to distress your letter! 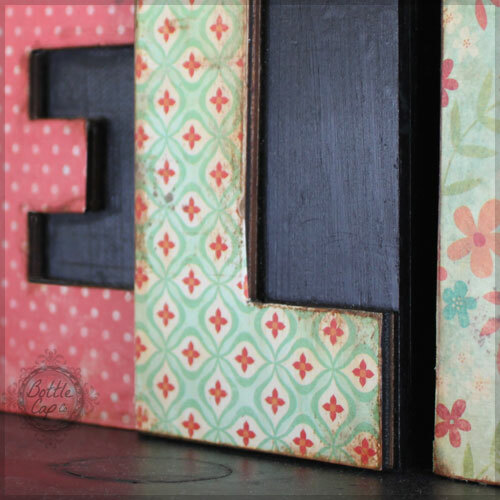 You can use the distressing ink for a vintage look or any ol' color of ink to add a border. 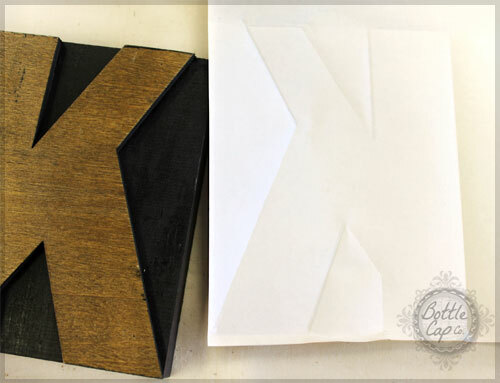 If you don't want a distressed or bordered look, the letter will still look polished and complete without any ink. When the glue has dried and when the ink has dried (if you used it) then brush on another thin layer of Mod Podge over the paper. This will give your letter a clean, polished, matte finish.